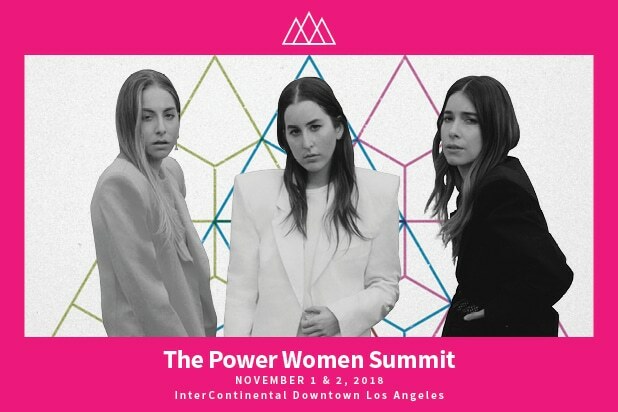 HAIM joins the Power Women Summit for a special performance on Thursday, November 1 in Los Angeles. The rock trio has climbed the pop charts and played to sold-out crowds across the globe, but they’ve also been outspoken advocates for women in music. “Anyone that identifies as a girl: whenever you walk into a guitar shop or a soundcheck or a recording studio, do not let anyone that’s there intimidate you, or make you feel like you don’t belong there, because you do belong there,” said Este Haim at the NME awards this year. The sisters brought attention to the glaring gender wage gap in the music industry when they fired their booking agent after learning they were paid 1/10th the amount of a male act at the same festival. These women walk the walk and talk the talk, and TheWrap is honored to have them at Power Women Summit. They join an outstanding program featuring Felicity Jones, Anita Hill, Dolores Huerta, Mira Sorvino,Barbara Boxer, Sherry Lansing, Alyssa Milano, Ibtihaj Muhammad, Emily Ratajkowski, Jill Soloway and many more. Topics of conversation include taking risks, women who are “the firsts,” the new generation of activists, equal pay, sexual harassment, diversity and inclusion, entrepreneurship and more. There will be main stage sessions and deep dive discussions with show runners, producers, directors, talent, journalists and executives. Join us at Power Women Summit, Nov 1 & 2, as we move the dial towards equal representation. Tickets are nearly sold out! HAIM are sisters Este, Danielle, and Alana Haim, hailing from Los Angeles, CA. The band released their critically acclaimed and highly anticipated sophomore album, “Something To Tell You,” in July 2017 which debuted in the top 10 of Billboard’s Top 200 albums chart. “Something To Tell You” is the follow up to their 2013 debut album, “Days Are Gone,” which earned them a Grammy nomination for Best New Artist. 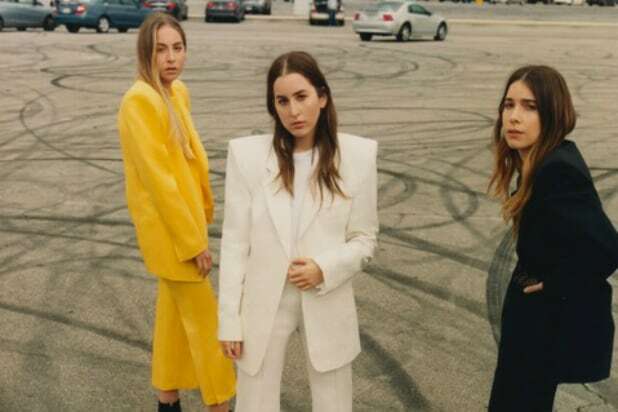 Renowned for their engaging high-energy live performances, HAIM have toured the world playing headline shows and festival stages including Glastonbury, Lollapalooza, Coachella, Bonnaroo and more. JOIN US as we come together at Power Women Summit, November 1st and 2nd at the Intercontinental Downtown Los Angeles. Let’s drive the conversation and effect real change!